Patrick Murphy, curator of Made North Gallery, invited Neubau to contribute a road sign for the exhibition at Design Museum celebrating the ‘50th Anniversary of British Road Sign’ during London Design Festival. 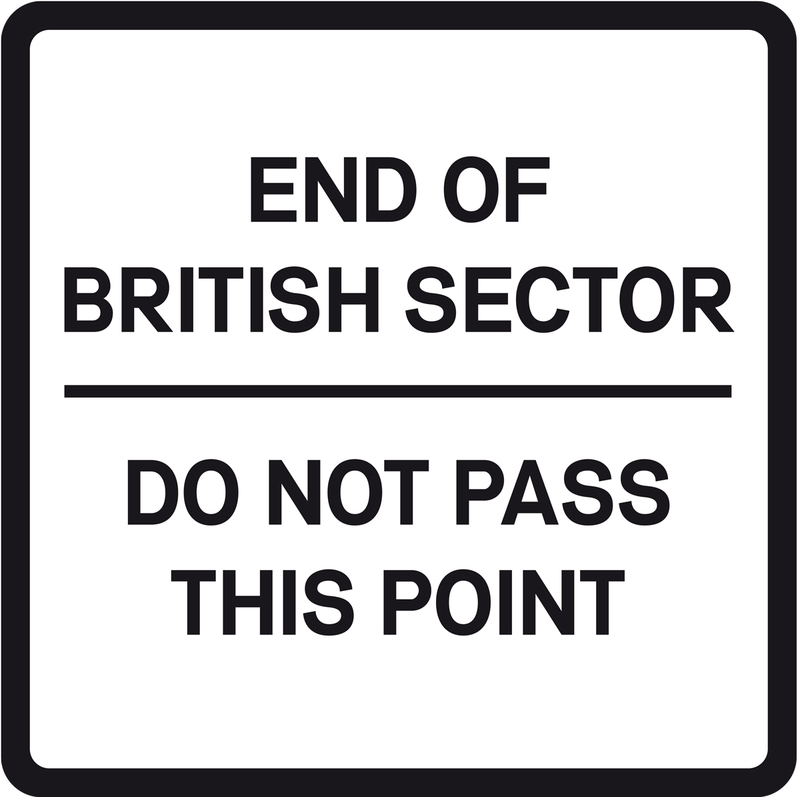 50 years ago a typical British Road Sign appeared in the streets of post-war Berlin defining the occupied zones of the Allies. During the ‘cold war’ these road signs remained in function even after the Berlin wall was built in 1961. West-Berlin became a walled-in island. Until 1989 these signs were a permanent reminder that the city of Berlin was divided and people’s lifes were actually endangered if they would leave their sector. 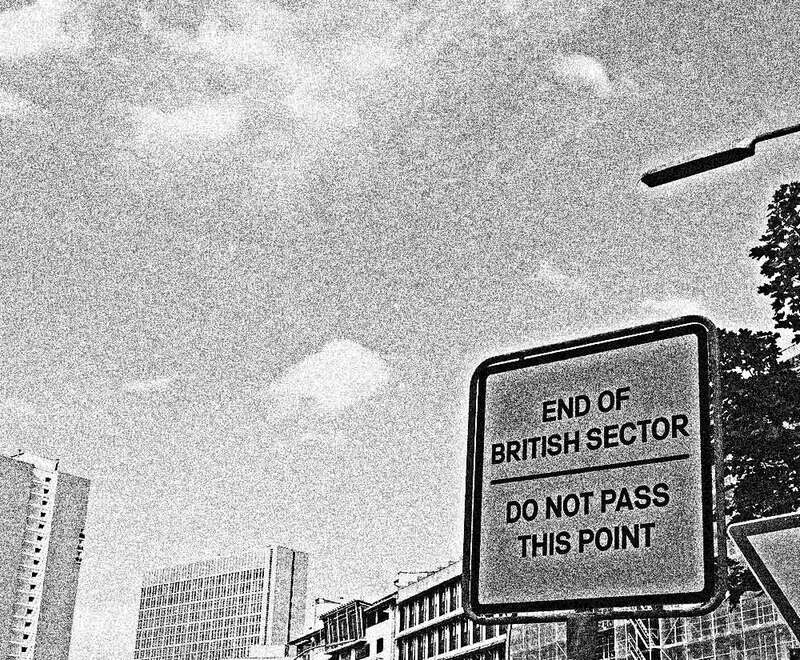 By sending this ‘cold-war-ready-made’ back to Great Britain and having it pop-up somewhere randomly in London’s daily life and traffic, will hopefully provoke highly relevant questions about the modern Europe we live in and how contemporary the sign still is today. 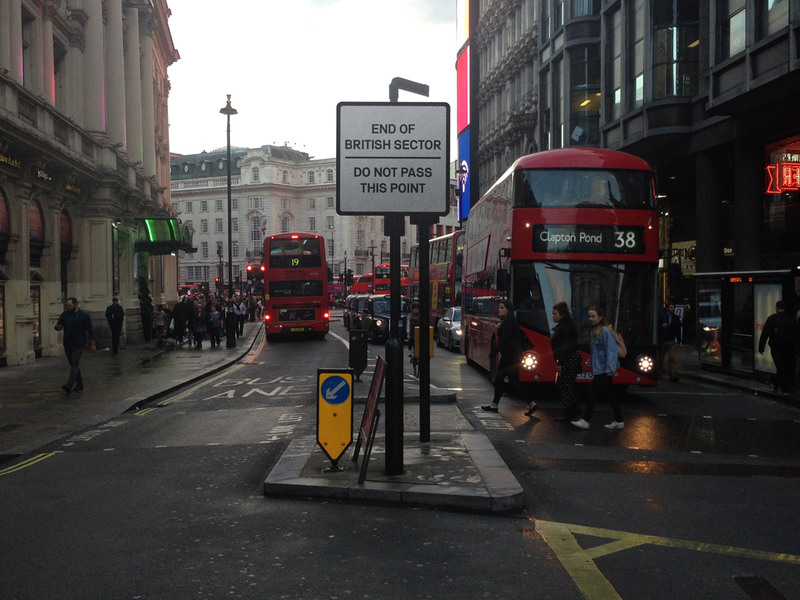 The ‘replacement’ typeface for the original British road sign ‘Traffic’ type used here is called NB-National™ Bold celebrating its first public appearance with the installation during the London Design Festival. 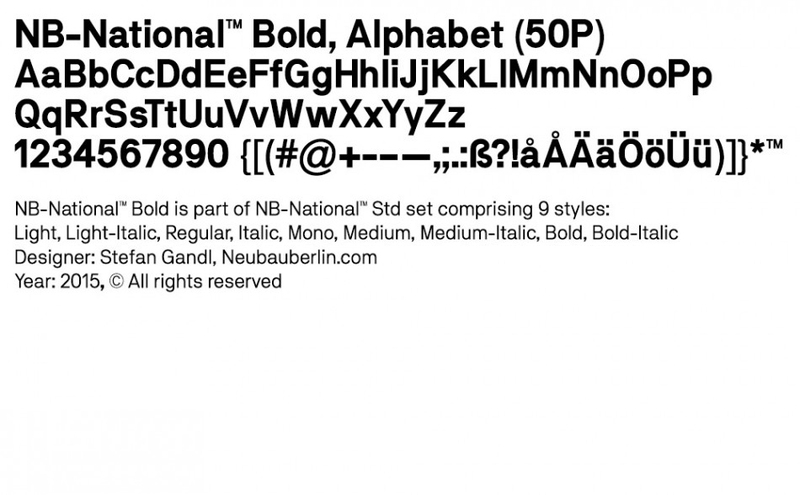 NB-National™ Bold is part of NB-National™ type system designed by Gandl comprising 9 styles (Regular, Italic, Light, Light-Italic, Medium, Medium-Italic, Bold, Bold-Italic, Mono).